DAVID Williamson has been writing plays for more than 45 years and hasn’t lost his touch with the well-crafted one-liner that effortlessly extracts a happy burst of laughter from a full house. He can be very entertaining indeed. His latest work, Cruise Control, has a pretty good stock of zingers in a set-up guaranteed to supply copious opportunities for them. 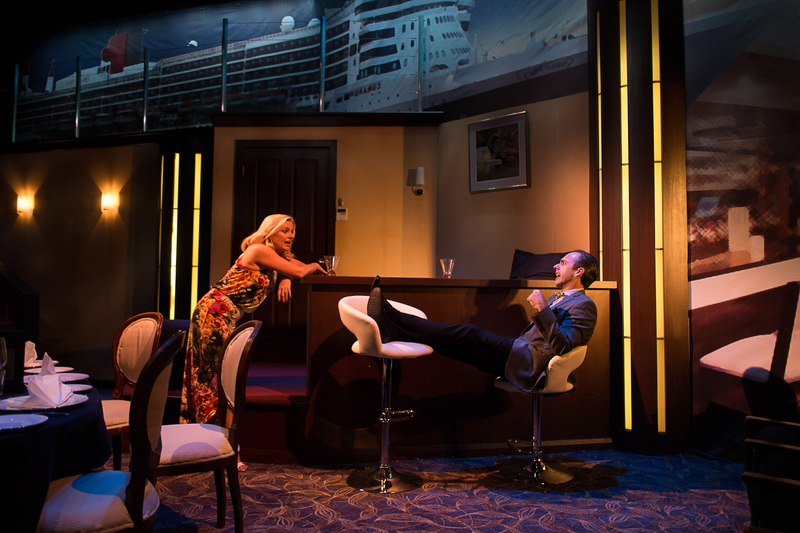 Three couples on a cruise have failed to arrange private tables for dinner and are thrown together for the duration – over-sharing Americans (Kate Fitzpatrick and Henri Szeps), brash, confident Australians (Helen Dallimore, Peter Phelps) and a tricky English couple comprising nice put-upon wife and self-regarding, philandering husband (Michelle Doake, Felix Williamson). All steam ahead for culture clashes and a big splash of sexual intrigue, leavened with some gentle social commentary occasioned by the presence of warm and wise steward Charlie (Kenneth Moraleda). There is no profundity here, but Williamson is a keen observer of human tics and foibles and the going is easy for the first half. Alas the second half sails into more turbulent waters and does so rather creakily with an over-explanatory and frankly unbelievable denouement. Marissa Dale-Johnson’s design makes astute and evocative use of the small Ensemble space, the cast is strong and Williamson, who took on direction duties, acquits himself well in that regard. But perhaps another director might have been able to persuade the playwright to give that second act another couple of drafts. Not surprisingly, though, The Ensemble already has had need to extend the Sydney season by offering performances at Chatswood’s The Concourse after the Kirribilli run. Justin Fleming’s His Mother’s Voice could also do with another draft or two but its subject is entrancing and already it’s a work of substance and resonance. The play is set mainly in Shanghai during the Cultural Revolution and its aftermath and partly in Canberra, fluidly moving between time and place. 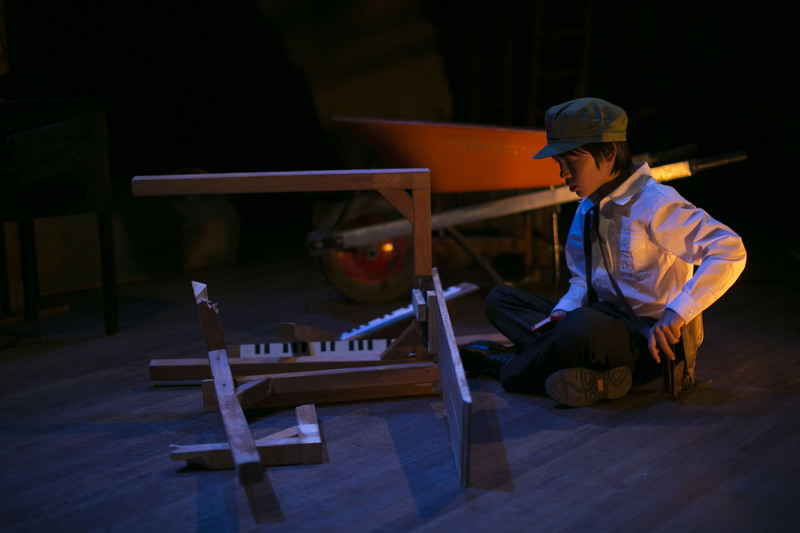 A mother teaches her son (the very composed 12-year-old Isaiah Powell when young, Harry Tseng when an adult) the piano despite the risk, and then the reality, of being persecuted for being bourgeois. For Yang Jia, played with understated grace and gleaming intelligence by Renee Lim, music is a universal language. The Chinese apparatchiks who harry her see Western music as the enemy of Chinese music; she sees the two as complementary. When her piano is destroyed Yang Lia finds another, incredibly touching, way of continuing her son’s education in the greats of Western classical music. The politics of the Cultural Revolution collide with international politics, and if at times some of the arguments on the Western side seem a little stilted, Fleming’s portrayal of the contradictions acceptable – necessary? – in Chinese thinking is fascinating. Suzanne Millar choreographs the swirling action (she co-designed the sparse, cleverly flexible set with John Harrison) with admirable clarity and it was a particular pleasure to see so many actors of Asian heritage on stage. How frequently the theatre world talks about diversity, and how infrequently we actually see it. His Mother’s Voice ends May 17. Cruise Control ends at The Ensemble, Kirribilli, on June 14. Then Illawarra Performing Arts Centre, Wollongong, June 18-21, followed by The Concourse, Chatswood, for three performances on June 24 and 25.